A favorite among pet owners for over 50 years. 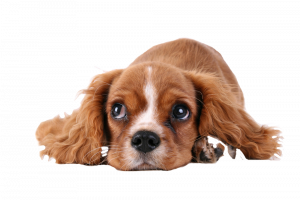 You’ve Got the Flu… Can Your Dog Get the Flu too? Your head aches; your throat is sore. There are a million crumpled tissues strewn all around you. You’re too hot and then too cold. Your body aches and you cannot even think about dragging yourself out of bed. Yes. You’ve got the flu (not to be confused with a stomach virus). All you want to do is cuddle up in bed all day with your dog. That might be what your dog wants too… cuddle up in bed with you if they have unfortunately come down with the flu too. No, no, not people flu. Dog flu, also known as canine influenza. We’ve written about it before, but it’s always important to stay up-to-date on what it is, how to recognize it and ways to prevent it. Canine influenza is a highly contagious virus that is airborne that can be passed on from dog to dog. Symptoms can include lethargy, fever, cough and loss of appetite. Serious cases can develop into pneumonia. I don’t want my dog to get sick. What should I do? The primary way to keep your dog healthy is to have him or her vaccinated against the virus. While many vets do not require it during your dog’s annual checkup, it’s often recommended, especially if your dog spends time around other dogs, even if it’s just a quick trip to a pet supply store for a new toy. Lodging, grooming, and daycare facilities are likely to require it. Based on the information that Morris Animal Inn has received and in-depth conversations with leading veterinarians in the area, it is required that all of our clients receive the H3N2 vaccine as well as the H3N8. These are the two current strains that can be vaccinated against. Just like the human flu vaccine, the vaccinations are not necessarily going to completely prevent getting canine influenza, however the vaccination can definitely help decrease the risk as well as decrease the severity if it is contracted. Contact your veterinarian for more information and to inquire about having your dog vaccinated. We are happy to report that there are no current documented cases of canine influenza in New Jersey. Let’s all do our part to keep it that way! Copyright © 2019 Morris Animal Inn.